Poison ivy, poison oak, and poison sumac are common plants throughout the United States. The reactions from these poisonous plants in humans can range from none to severe. In fact, even pets can get poison ivy and spread these types of plant rashes to their human family. Here are some resources and tips about poison ivy, oak and sumac to help keep everyone in the family safe and sound! Do Dogs and Cats Get Poison Ivy? Dogs and cats do not appear to be sensitive to the effects of urushiol, the allergenic oil found in these plants. The hair coat on these pets protects from getting poison ivy as well. While that is the good news, the bad news is that pets can indeed transmit the urushiol on their hair coats to other people. Learn more about the resistant plant oil, urushiol, found in poison ivy, oak and sumac. Perhaps your pet ran through a patch of poison ivy on their walk earlier. Pets may not necessarily "get" poison ivy, but they can spread it to others. To bathe your cat or dog after being exposed to poison ivy, the best thing you can do is first prepare for the bath by wearing rubber gloves and using a barrier cream on the parts of your arms and skin that are not protected by gloves. Next, you will want to use a generous amount of cold water for an extended period of time, followed by a degreasing soap, such as Dawn's dishwashing detergent. This cleaning method will remove the poison ivy oils from your pet's coat. Poison ivy, oak, and sumac are toxic plants common throughout the United States in varying concentrations, except for Alaska and Hawaii. While the woods are a common place to find these various poisonous plants, it is also possible to encounter them along streams, roadsides, and in parks and backyards. 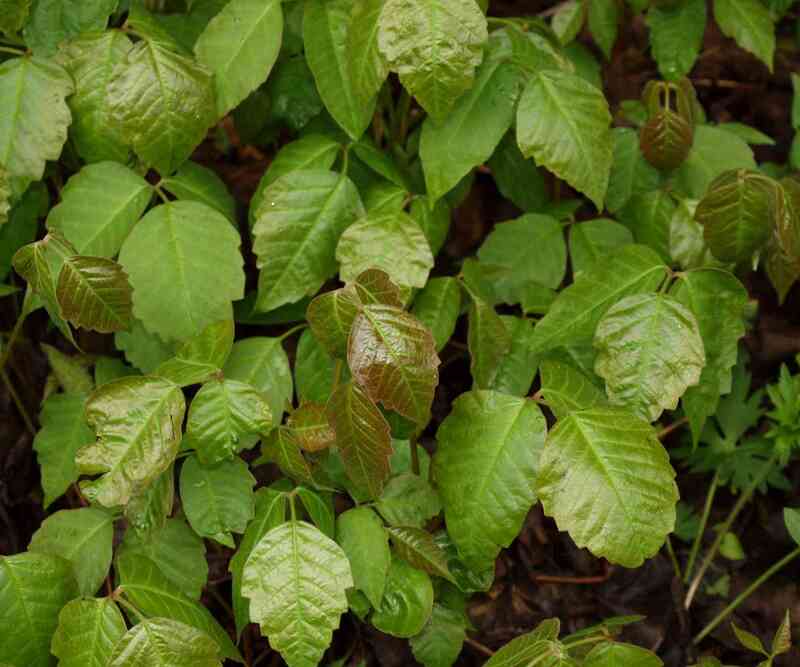 ​Knowing how to identify these plants in nature is the first step toward protecting yourself from catching poison ivy, oak or sumac. 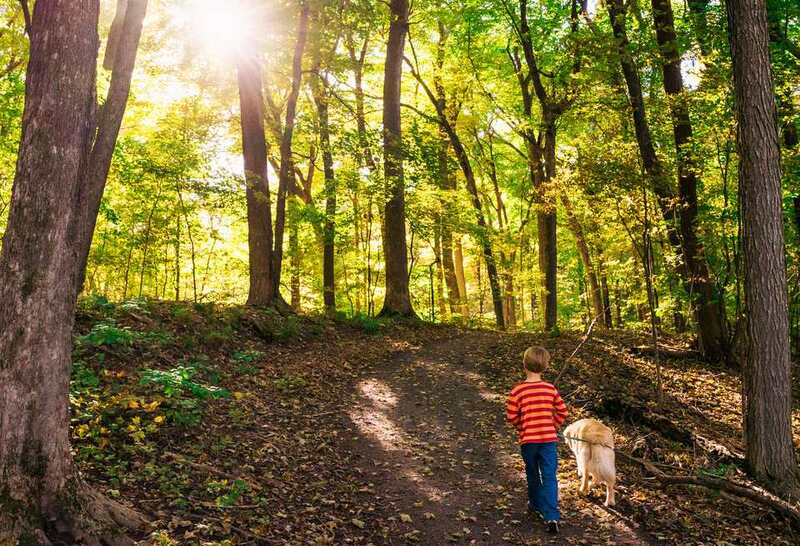 What's Your Pet's Encounter With Poison Ivy, Oak or Sumac? A common question amongst pet owners is if pets can get poison ivy. While pets do not get poison ivy in the same sense that humans do, with an intensely itchy, blister-filled rash, dogs and cats can still transmit poison ivy, oak, and sumac to other pets and humans. Has your pet helped spread poison ivy/oak/sumac to human family members? Please share your poison ivy story and any poison ivy tips you may have. The first line of defense when working in or exploring nature is to cover any skin that might be exposed to poisonous plants like poison ivy. There are specific barrier lotions available that protect against poisonous plants that you can apply to the skin as well, in case it gets uncovered while you are outside. Additionally, you may want to take a closer look at the type of tools you are working with or the materials you brought with you outside after you are done. It is possible that a poisonous plant got over your items. Make sure to wash off your skin and your items after your return, keeping in mind your clothing and shoes as well.